Almost 40 breweries will be pouring craft beer. Complete event and ticket information is here. 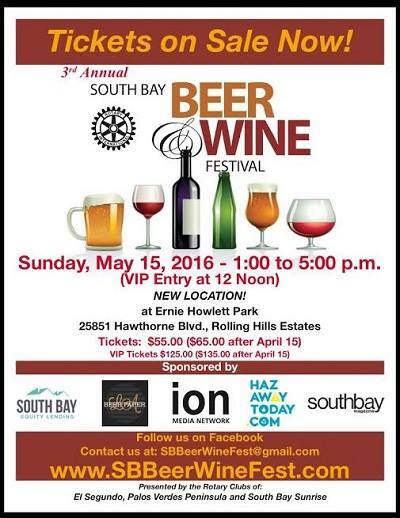 This entry was posted in Beer events, LA area breweries, Orange County breweries, San Diego breweries, South Bay breweries by Nick Green. Bookmark the permalink.